Oakwood Village Dental, is a friendly family run dental office, where we welcome young patients and make them feel comfortable, happy and at home. We love working with children. We enjoy having the opportunity of bringing them a fun and positive dental experience, so that they don’t develop fear towards dentistry in the future. We encourage you to bring your children for a dental check-up as early as their first teeth start to erupt. 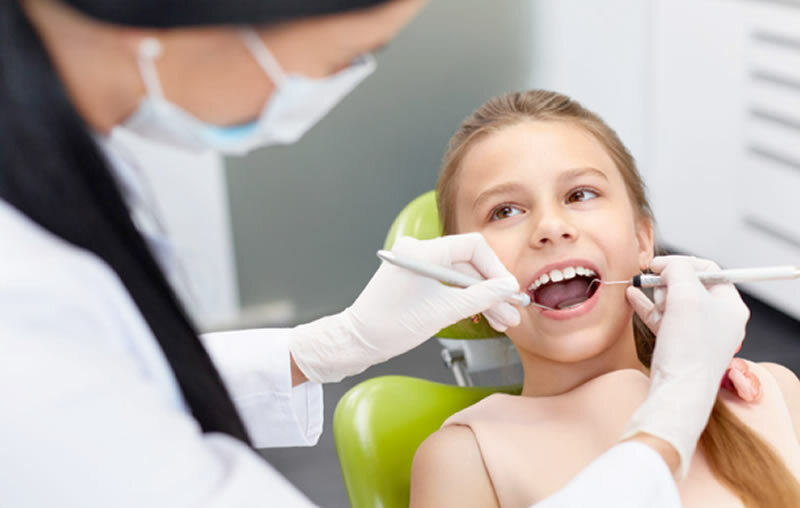 Our extensive experience in Children’s Dentistry along with our use of modern technology, allows us to keep track of your child’s teeth as they grow to make sure that they’re healthy, with no potential oral problems in sight. In case we happen to find a problem, it is always best to treat it while it’s still in the early stages. Children’s Dentistry at Oakwood Village Dental will also allow our younger patients to benefit from Dental Sealants. Sealants are thin, plastic coatings that are put on the chewing surface of the back teeth (molars). Their purpose is to seal all pits and grooves in the back teeth, so that food residues and germs don’t build up in them. This procedure strengthens the teeth, in that it makes them less prone to decay or carries. Getting dental sealants along with maintaining a good home hygiene routine, your children will be able to enjoy healthy teeth and healthy smiles for a long time.